The unending love of his Mom and Dad is the only reason he was able to take all the physical and mental stress of the medical treatment. 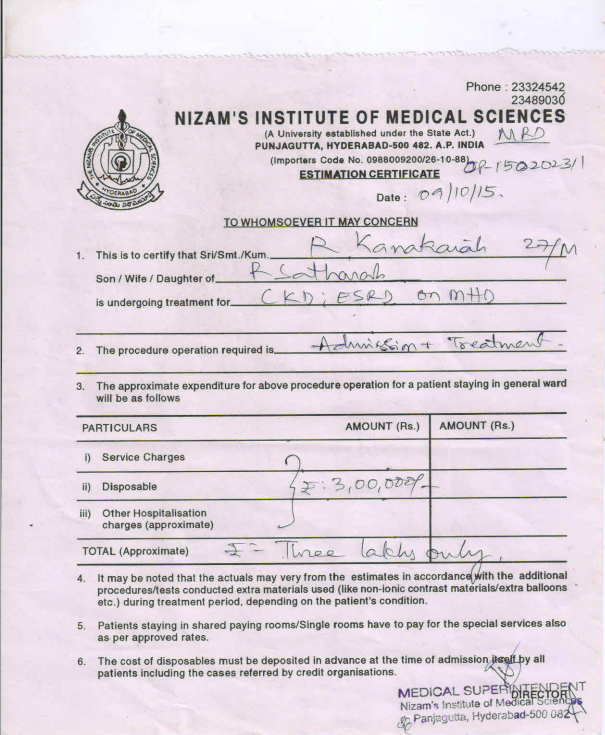 However, the expenses incurred during the treatment amount to 10 lakhs. It has been a difficult for them to overcome it. We had to literally empty all our financial resources for the same. 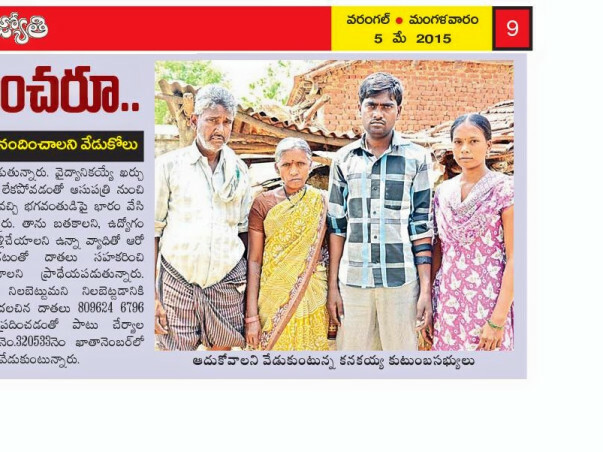 Hence, their parents not only has to focus on taking care of my friend's health condition but also has to get a helping hand in fighting the financial burdens associated with the kidney transplantation and the expensive medical treatment needed post the transplant. 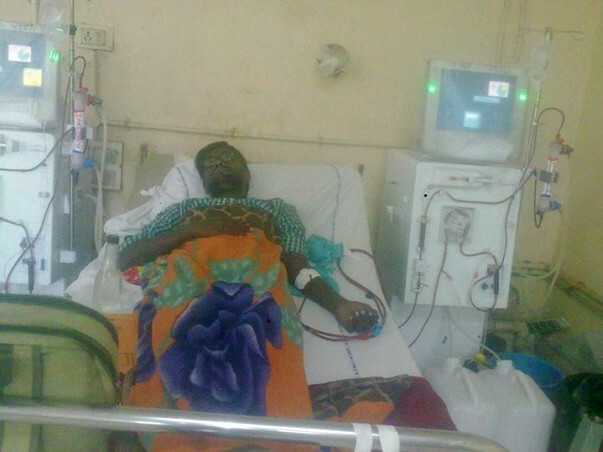 The medical treatment is estimated to be around 25 lakhs to suffice the transplantation of the kidney. Now at this time we are appealing to you all to be that helping hand to financially support us generously. My friend will be definitely blessed by your kind help. We look forward to reciprocate the kind humanity shown by you all. Any support, no matter how small, will be incredibly appreciated and we will be forever grateful. Please find the estimation letter from the hospital below.